I love working with everyone - and I mean that. Below are testimonials from some current and former students. All are fabulous and doing incredible things - some in music and some in other fields. It just goes to show anyone can take lessons. Thomas is charismatic, creative, and thinks outside the box. I was extremely lucky to have him as my first voice teacher when I was a sophomore in high school. Having had no prior experience singing, Thomas taught me not only how to sing with proper technique, but with passion and purpose. He truly cares about his students, and will work tirelessly to help you achieve your goals. He will give you honest feedback and thoughtful advice, and will find the approach that works for you. I was a music educator for 10 years with two degrees in music education, focusing in instrumental music and Education Programs Manager for the Illinois Music Education Association. My path led me to start a new middle school choir. I had limited experience in both vocal education and even singing myself. Through an excellent recommendation I found Thomas. What impressed me was not only his vocal talent and pedagogy, but his patience and understanding. He treated me as a professional, meeting me where I was at with the knowledge and experience that I had, and gave me practical tools that made me a better vocal model for my students. Thomas equipped me with methods and exercises that made my classroom teaching effective and productive. I saw the benefits from my time with Thomas, and so did my students! I have been studying with Thomas for two and a half years now after a few years of not singing. He is extremely knowledgeable in vocal pedagogy and a great coach of singing styles and interpretation. One of the methods that helped me the most was to work my middle voice to make the rest easier and free. We worked a lot on my chest register, which I was always skeptical to try as a countertenor. I couldn’t have been more wrong. Not only did it give me the strength I needed for my upper register, it also allowed me to expand my vocal range. I sing soprano with the Chicago Chorale, an all-volunteer choral organization with an audition requirement. My natural tone quality is high, thin and whistly. 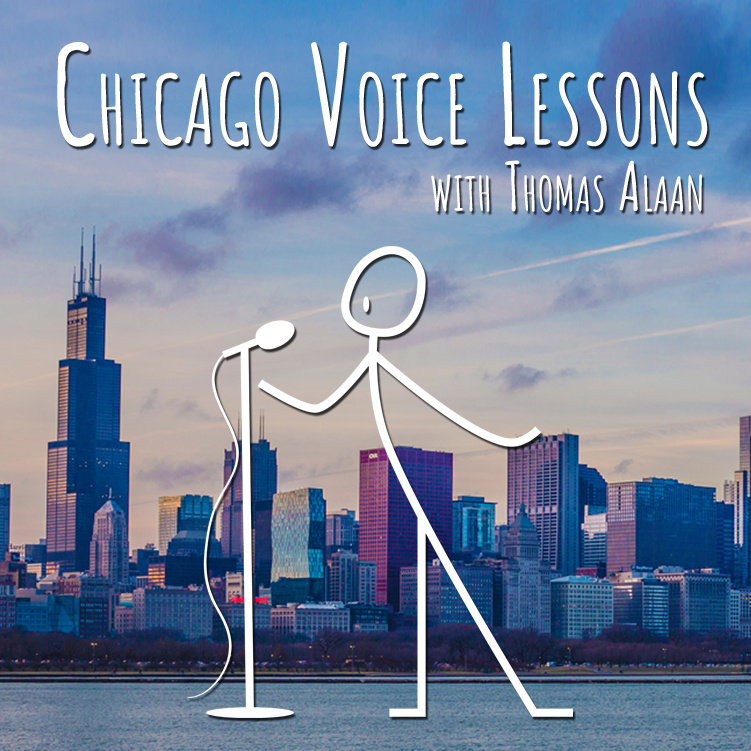 I was struggling with the range and couldn't produce the volume I wanted to hear so I asked my section who they would recommend for voice lessons. On day one Thomas transformed my whistle into something Puccini would have. Okay let's be honest, Puccini would've been irritated but it was a heck of a lot closer to what Puccini would've been looking for than the whistle ever was. I learned how to adjust my breathing and vocal anatomy to produce a full tone at a much louder dynamic while maintaining an attractive tone quality. After that, the hoarseness and pain in my throat with which I ended every rehearsal went away. Thomas is seriously a miracle worker. If you're doubting, just try it. Take it from me. You'll hear the difference within the first hour.